Myanmar is known for their production of jade. 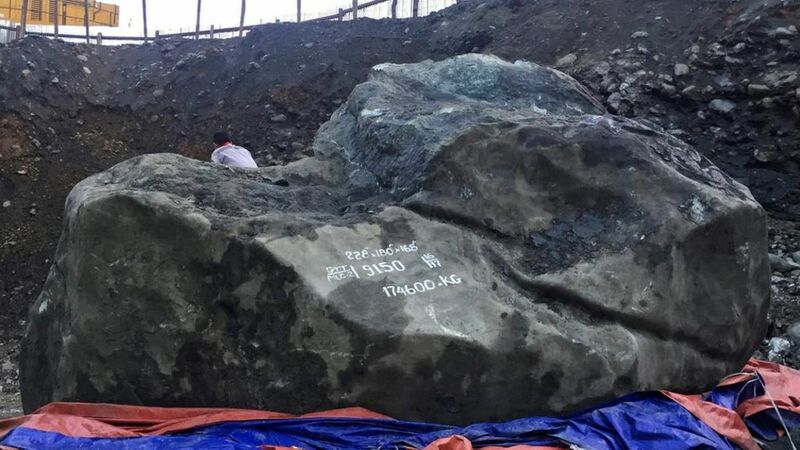 Miners in that country recently unearthed one of the largest jade stones ever found. The stone is 18 feet wide and 9 feet high. It’s estimated worth is $170 million. That is some precious stone! This stone, of course, is Jesus Christ, the Savior of the world and the cornerstone of our faith. He is indeed a precious stone! Let us give him all the praise and honor and recognition that he deserves. This entry was posted in Christian Living, Communion Meditations, Current Events and tagged cornerstone, huge jade stone, illustration, Jesus, miners, Myanmar, precious stone, Savior of the world, worship. Bookmark the permalink.